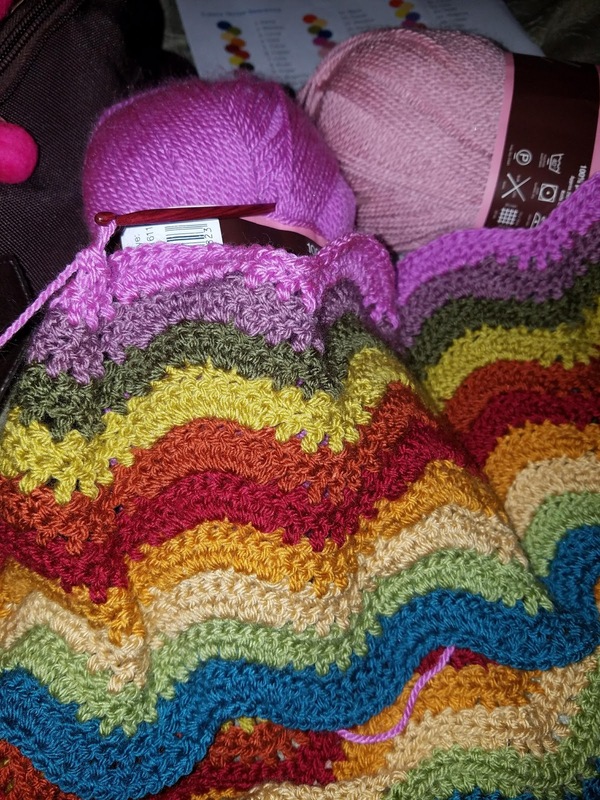 I have been working on the Woodland Stripe blanket, in the Cozy Stripe colorway. I am using the stripe sequence from the Cozy blanket, which means I have all my colors lined up. There has been a little extra planning, as the Woodland blanket pattern has 117 stripes, and the Cozy blanket only has 90. So, how am I dealing with this? Simple - I am repeating the first sequence (about 16 colors) and I did the first color for the starting row and rows 2 and 3. Another change I have made is with color changes. Most of the time, the directions read "end with dc, change to new color, ch 3." 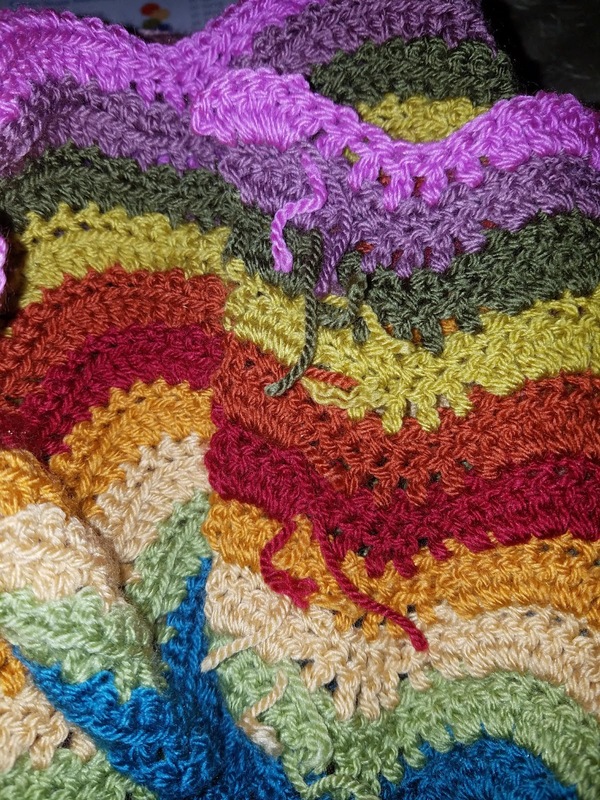 I change the color at the top of the last dc (or sc, whichever stitch it is), and then chain 3. I also catch the ends under the next row. Catching the ends makes weaving them in a bit easier. I will also finish weaving them in section by section. The colors are not as bright as I imagined, which is nice. I thought they would look more vibrant, almost neon or day glow, but they are actually more subdued. It looks really good.